I am convinced that Rhys Bowen is a queen of historical fiction! I first read her work with In Farleigh Field and gladly jumped at the chance to read The Tuscan Child. I was easily transported to a small village in Tuscany where an English World War II pilot crashed, and years later the mystery of his experience is explored by his grieving daughter. Admittedly, quite a few chapters pass before the story gets really interesting but once it does it's captivating! Joanna Langley returns to her childhood home after her father's death. While preparing to clean out his home she finds a letter written to Sofia Bartoli returned unopened. The contents of the letter make Joanna believe that her father might have had a child with Sofia and she must go to Italy to find out what happened to Hugo while he was stranded there. 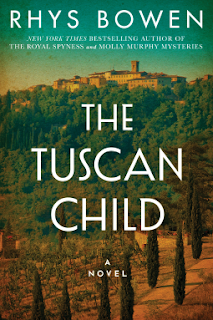 The Tuscan Child unfolded with an air of mystery and intrigue. The trip to Italy awakens Joanna in a way that she had not known she needed. Even though digging into the past holds hidden dangers, the truth will help set more than one person free. She makes lasting friendships that help her through a time of turmoil. The Italian characters were so lively and seeing them interact with the reserved English woman adds a comedic effect that takes your mind off of the possible tragedy that might await Joanna. 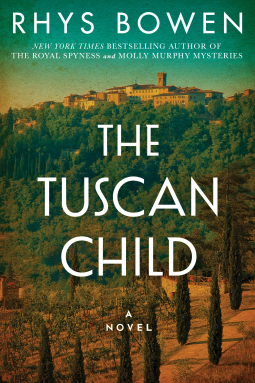 Once The Tuscan Child takes off, it moves fast right up until the end! There are so many layers revealed as Joanna opens herself to the past and takes readers on a journey that heals. I felt that I got to really know the characters in this story, even more so than in In Farleigh Field. Rhys Bowen really outdid herself on this story!